Most people are still impressed when they see a LinkedIn profile with 500+ connections. It gives that person authority in their industry and shows they’re a valuable member of the business world. In other words, 500+ connections can help sell you and your business. So how can you reach this coveted number? Here are some tips to get started. If you’re struggling to grow your LinkedIn network, you may not be spending enough time on the platform. If you want to become a power player, you need to use the social network often. So dedicate 15-30 minutes a day to network on LinkedIn, and make it a goal to reach 500+ connections. 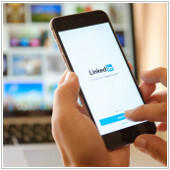 Utilizing LinkedIn groups presents an opportunity to meet other professionals (and eventually add them as connections) as well as learn and share valuable advice. The point is not to just join a group, but actively participate in them. This requires a degree of focus and smart selection. How many groups should you join? Shoot for around ten. This will ensure you have time to participate in each group and connect with its members. As for the groups you join, you’ll obviously want to join those in your industry, but you should also diversify. So choose five within your industry and five that relate to your other interests or provide you an opportunity to learn from its group members. Some suggestions to consider are an alumni group for your university, groups that represent causes/charities you care about, and groups that relate to a new skill you’re hoping to learn. Obviously, all the groups you join need to be active. If members only post in a group once a week, this is a red flag to avoid joining. Once you’ve joined, you should spend some time each day contributing in at least five of your ten groups. You can ask questions, provide advice, or share valuable articles or original content you’ve created. Once you’ve developed a rapport with group members, you’ll have an easy, non-awkward way to connect with them. Many people will simply ignore requests like this. This is why it’s important to include a quick note that either refreshes that person’s memory of you, mentions a common interest or connection you might share, or simply introduces yourself and your reason for connecting. The more personal your note the better. Just like Google, Bing and the other search engines, keywords help you get found on LinkedIn. Plant these keywords in your professional headline, profile summary, and skill endorsement section. How do you know what keywords to use? Think about what you want yourself or your business to be endorsed for. What skills do you have to offer your clients? For example, if your business specializes in web solutions, some keywords you may think about using would include SEO or “web content”. As for your skills, be careful not to choose keywords that are too narrow. For example if your business is in the financial services and tax preparation industry, don’t use the names of niche tax solutions you specialize in like “estate taxes” or “small business taxes” as your endorsed skills. Instead, choose more general words like “tax preparation”. By doing this, your connections will be more likely to endorse you as it’s a broader category. By following these tips and spending at least 15 minutes a day on LinkedIn, you’re sure to see the number of connections you have grow. And the more connections you make, the less work you’ll have to do to grow your network as more and more people will send you connection requests instead. This will provide more business opportunities and chances for you to meet new clients. If you’d like more ideas how to improve your social media efforts, feel free to email or give us a call.